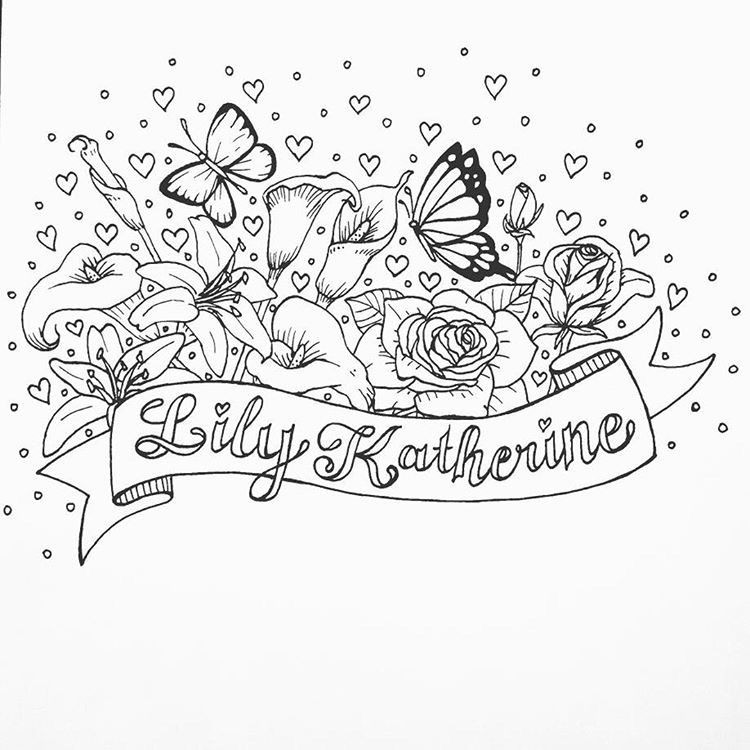 Nicole from In Living Memory is creating and hopes to publish an adult coloring book featuring the names of babies who were stillborn, in honor and memory of her daughter, Lucia. Right now, she is not taking anymore names because she has many pages to complete. 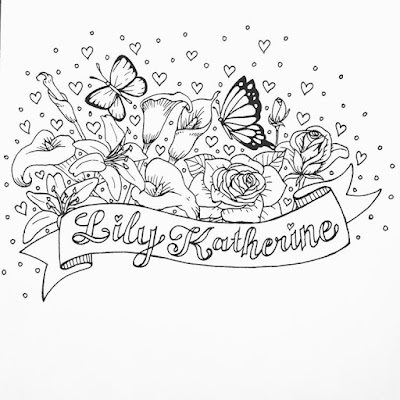 However, if she opens up requests again for another coloring book or potentially starts selling them individually, I will be sure to share an update here. I am so impressed by the amount of detail and personalization that goes into each one of these. I imagine it takes a lot of time, effort, and love. It's a way for this sweet mama to spend time with her baby girl.